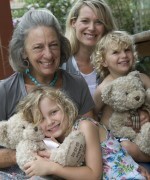 It all began with Margarete Steiff’s famous stuffed toy company in Germany. 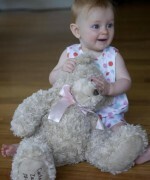 The very first commercially-produced stuffed bear was designed by the founder’s nephew, Richard Steiff in 1902. He based his design on real bears, which he observed and sketched at Stuttgart Zoo. The first batch of bears was offered for sale at the Leipzig Toy Fair in March 1903. Soon the bears were on sale in America. Around that time, the American President, Theodore ‘Teddy’ Roosevelt, refused to shoot a bear that had been captured for him to kill. The Washington Post newspaper made a cartoon out of the story in November 1902. A New York shopkeeper called Morris Mitchom is thought to have made a soft toy called ‘Teddy’s Bear’ as a tribute to the President. 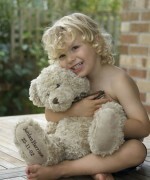 By 1906 the name teddy bear was popular throughout the USA and Europe. 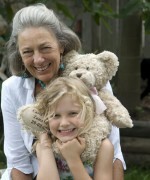 Teddies love being read stories but they also have plenty of stories to tell. Who was the first teddy? Where did he come from? Or was “he” a “she”? Why are these lovable bears called “Teddy Bears”? 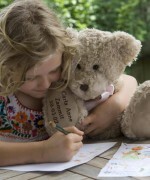 Do you know all the words to the Teddy Bears Picnic song? What about all those famous teddy bears? 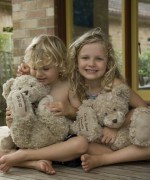 Have fun finding out more about our precious friends – the teddy bears. 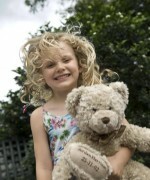 Maybe you have a teddy story to share with us, click here to let us know. Click on images below to view larger versions. If you are happy to have your My Birthday Teddy™ photo displayed in our gallery, use the Feedback form to send us your image and we may be able to include it.